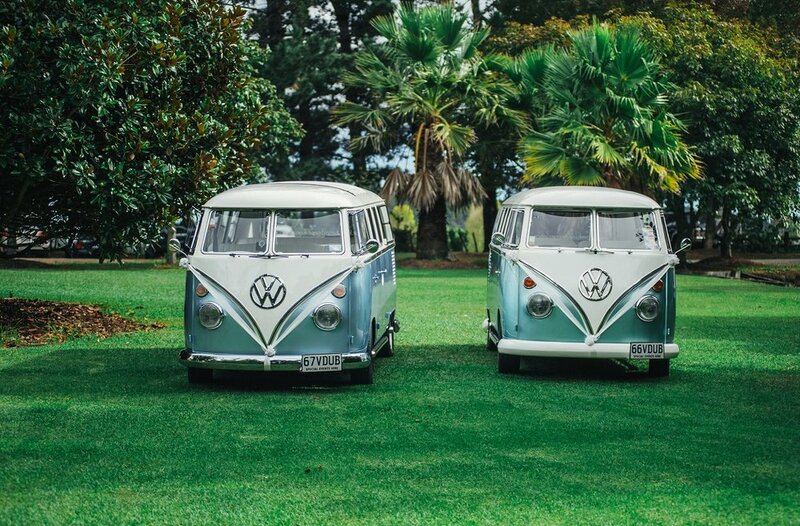 Nicola and Tulson got married on the 24th March 2016 at Kumeu Valley Estate. The couple loved the nice big open space, rustic looking barn, and relaxed feeling that the venue has to offer. 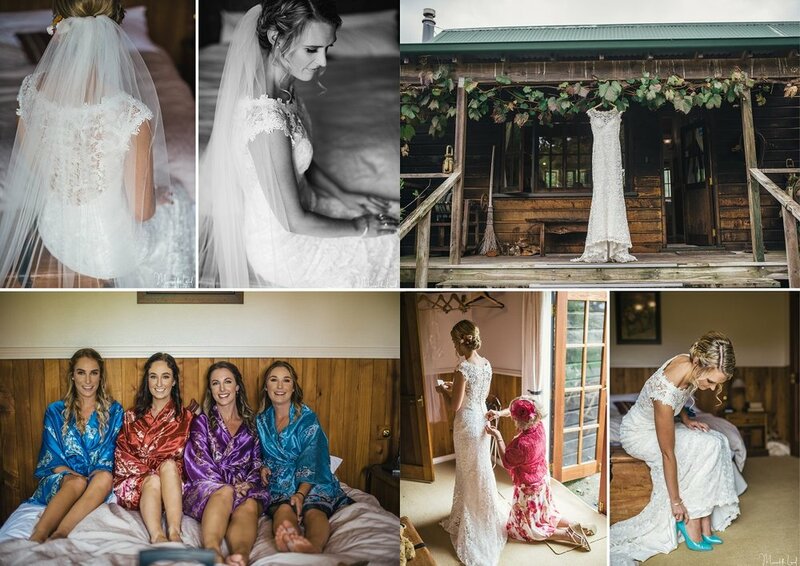 Nicola and Tulson chose a rustic/relaxed theme and this suited the location perfectly! Everything! Too hard to pick one moment - Seeing Tulson balling his eyes out as I walked down the aisle maybe? Relax, enjoy every minute, absorb every second, and don’t ask too many people’s opinions - they will just confuse you more! It was the one that made us all cry. It was just the one! A beautiful lace dress with slightly capped sleeves and fitted, everything I wanted! MALA! she was the most amazing person ever, so helpful, let me pick all the dresses I wanted then picked ones she thought would look good. She was just amazing and I appreciate everything she and Liz did for me! They even closed late just so I could rush back in and buy my dress! 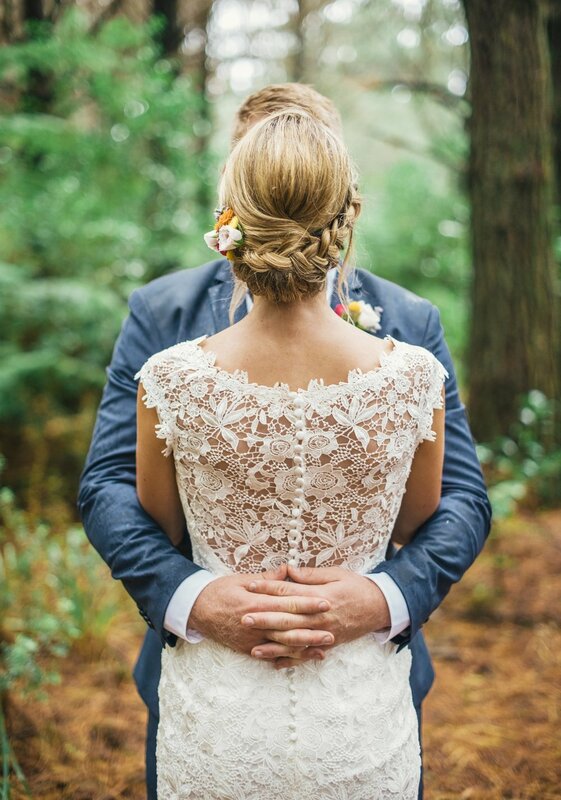 Favourite part of the dress: The back - low back but covered in lace! Flowers: Frond florist - Tori was amazing and I was over whelmed with how amazing the flowers turned out and exactly what I asked for. Entertainment: Off the Wall band - best band ever and the dance floor was cranking all night long! Photographer: Meredith Lord was our photographer. She was outstanding. I highly recommend her. She was never in the way and you never felt you had a camera in your face. She was fun and had a good laugh. Videographer - Mayer Wedding Cinema. My brother (owner of Mayer Wedding Cinema) ended up being our videographer as the person who we had organised had to pull out last minute due to health issues. He was amazing and captured so much stuff we had forgotten about/didn’t realise. He was there to hear or see things and he was never in the way of anyone but captured so much! Check out the video. Transport: Kombined experience - so much fun, something different, such wonderful people!